Our local Chamber Ambassadors are here daily to help you find an insider’s view of great places to go, fun things to do or services you may need. Here you’ll find the Official Pocket Guide & 2020 Official Bike Week Poster specially designed by our Official Artist, Matthew Hintz – It’s also the last stop on the AMSOIL® Treasure Hunt for that commemorative coin. 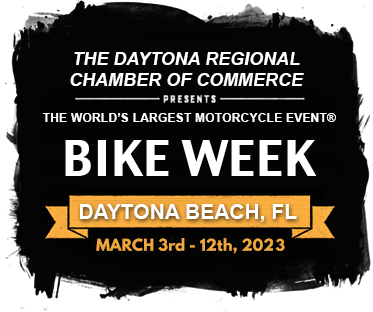 Take a selfie with your friends with the Official Bike Week logo backdrop.